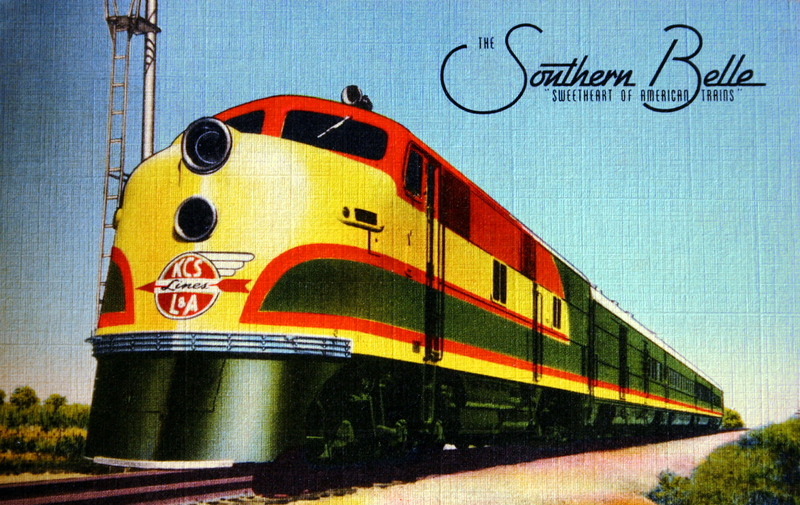 The Southern Belle was the Kansas City Southern’s very belated entrance into the streamliner revolution that had hit the nation’s railroad industry beginning in the mid-1930s. 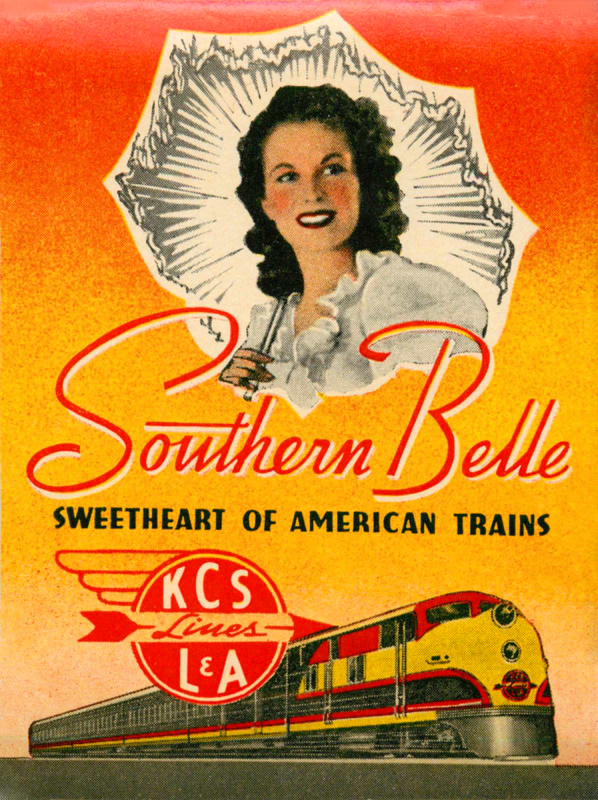 While up until the time of the Belle’s debut the KCS had offered merely second-rate passenger service its flagship train plied a route that was very lucrative, making it a household name in the markets it served. 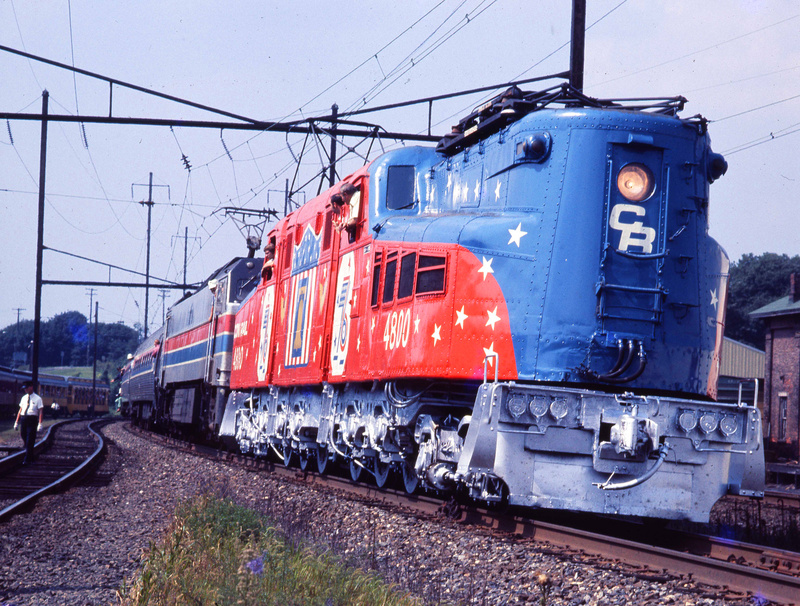 While the Bell was discontinued two years prior to the startup of Amtrak it lives on today as the KCS’s business train which is a near replica of the flagship, right down to the original livery of dark Brunswick Green (which looks almost black), yellow, and red with a silver roof lining (although most of the equipment on the train is not of KCS origin since the railroad had sold its passenger fleet after discontinuing services in 1969). 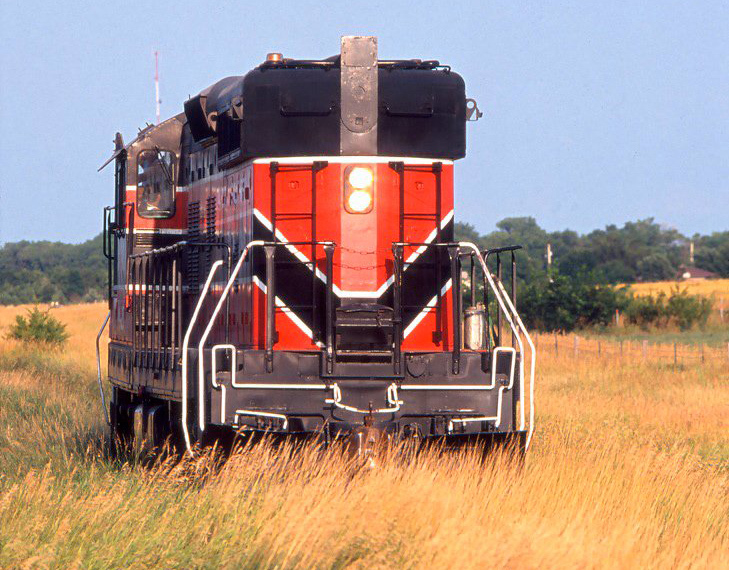 The Kansas City Southern Railway, better known as simply the KCS may currently be our country’s smallest Class I railroad in terms or route miles, surrounded by the other four American giants Union Pacific, BNSF Railway, CSX Transportation, and Norfolk Southern. 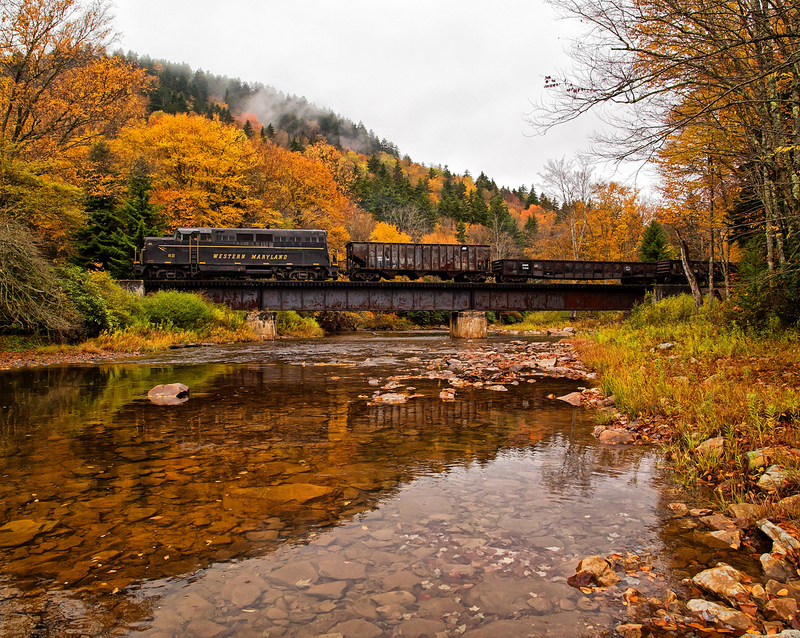 However, the railroad is the second oldest still carrying its original name next to the UP, and its history dates back to the late 19th century. 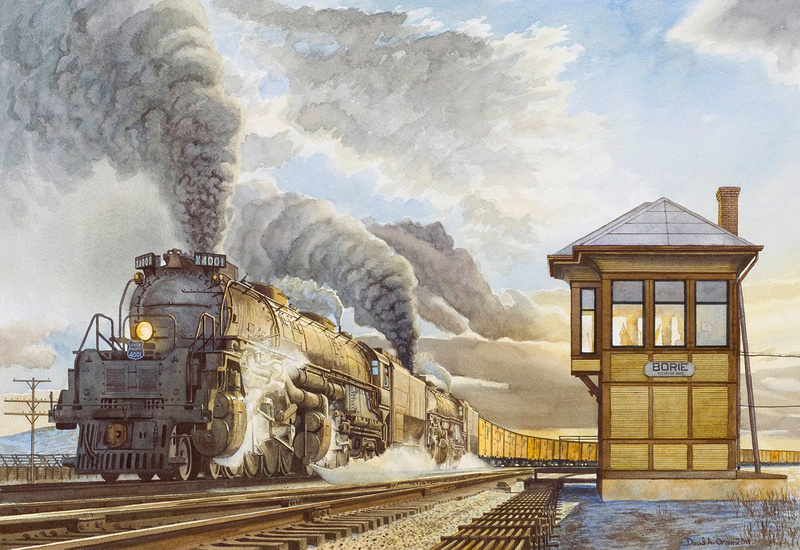 For roughly the first half of the 20th century the KCS prospered, earning considerable profits on a railroad system that was less than 1,000 total miles in length. 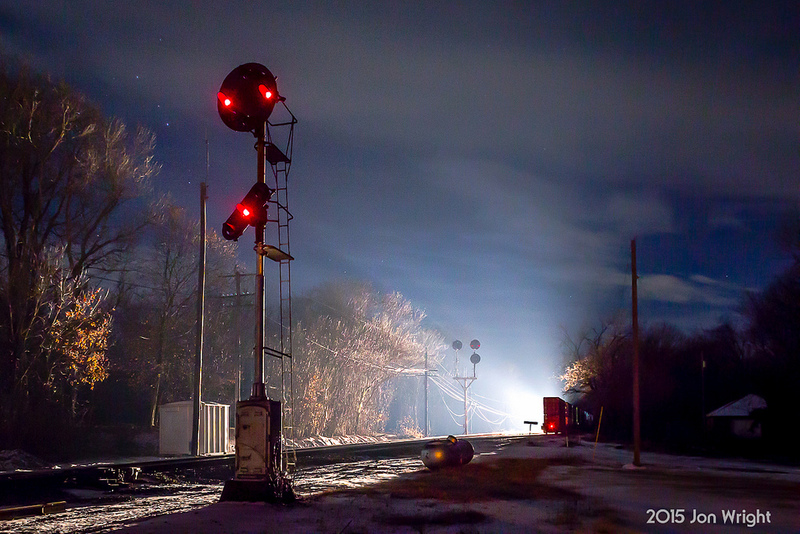 However, beginning in the late 1950s the railroad would once again go through a period of hard times, much like its early days. Things got so bad by the early 1970s (mostly a result of deferred maintenance) that derailments became commonplace across the entire system. Kansas City Southern, "Route Of The Southern Belle"
For more reading about the Belle please click here. 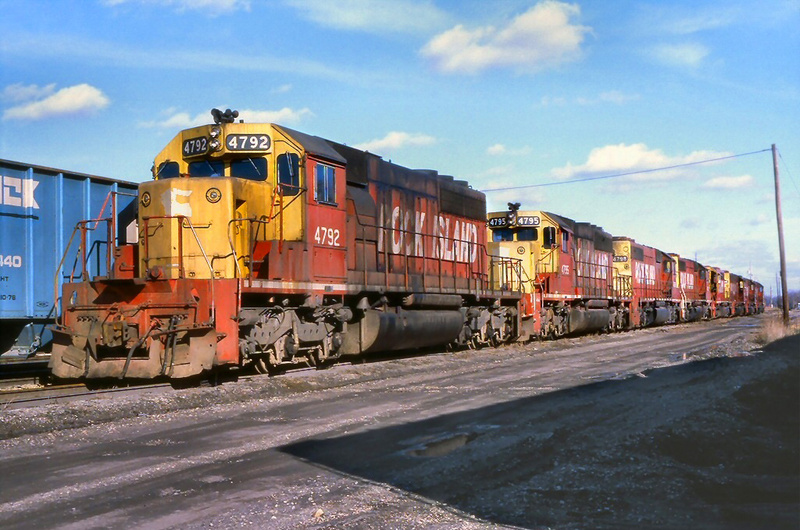 If it were not for record volumes of traffic continuing to pour over the KCS during this time the railroad could have faced a serious problem, similar to its northern neighbor, the Rock Island. 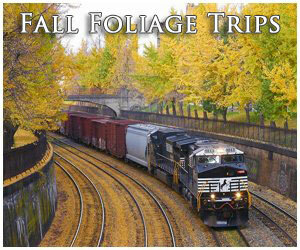 The Belle began, interestingly enough, as a publicity campaign by the Kansas City Southern. 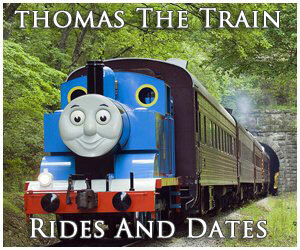 Looking for a beautiful young lady to model for the train as “Miss Southern Belle” the winner eventually chosen was Margaret Landry. 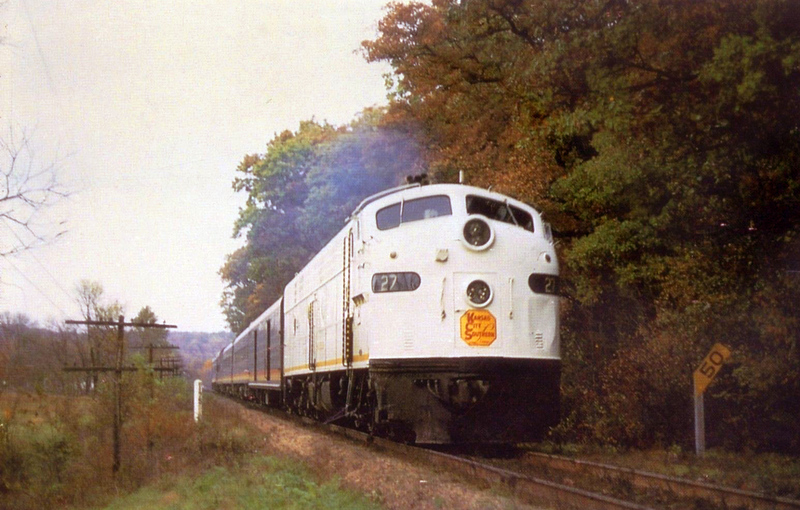 The train itself was inaugurated on September 2, 1940 and Miss Landry traveled on the train during a 10-day publicity tour to showcase the new service. 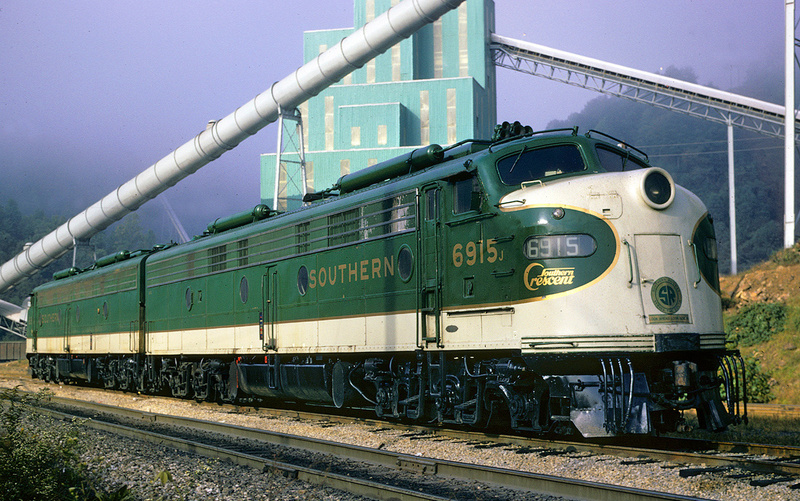 The route the Belle followed was north-south connecting Kansas City with New Orleans, a bit unconventional as far as rail operations are concerned, which usually travel east-west. 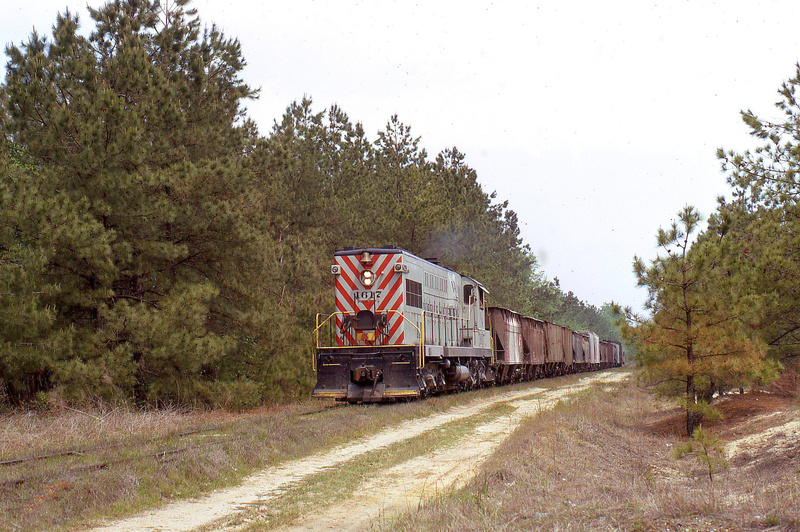 In any event, this mattered little as the train turned out to be quite successful being that the southern regions the Belle traveled through offered little in the way of reliable roadways. 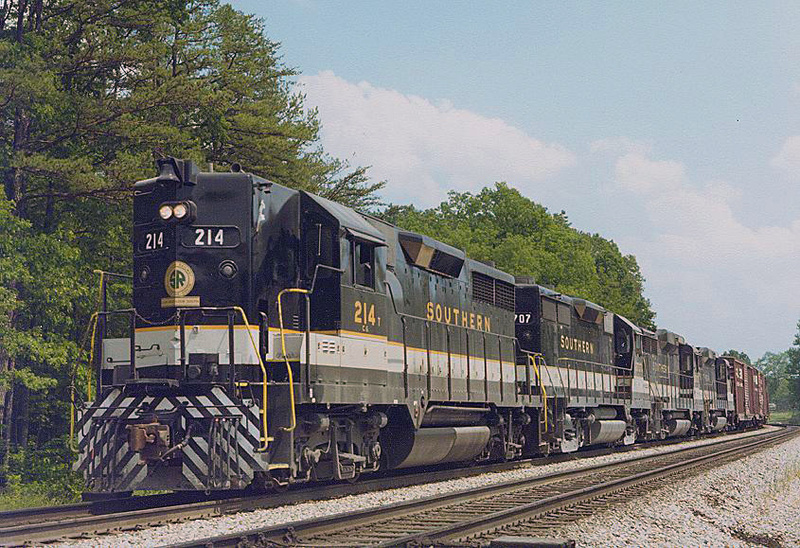 Listed as Trains #1 and #2 on the KCS timetable the Belle could make the jaunt between Kansas City and New Orleans in about 21 1/2 hours (by the 1960s the railroad had shaved about an hour from this time) and could carry an average train speed of between 40 and 42 mph. 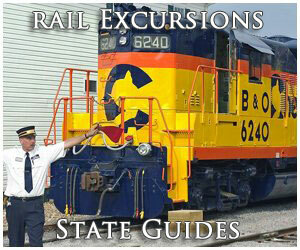 The Belle featured almost entirely all sleepers along with diner-lounges and "De Luxe" chair cars. 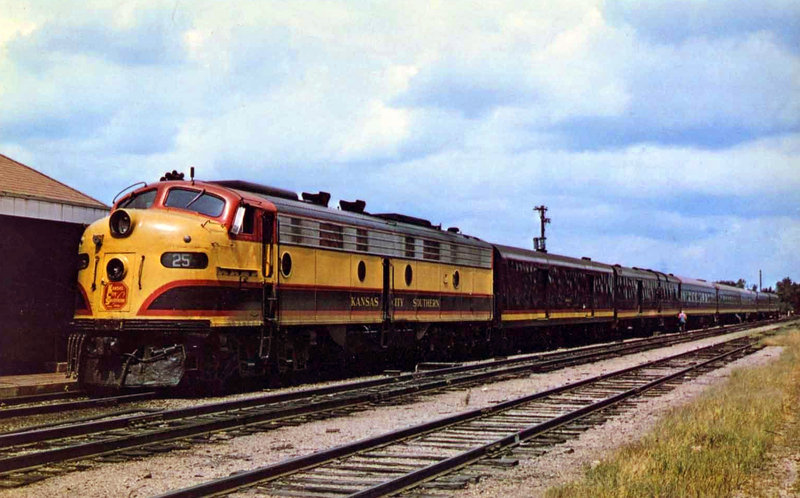 The coming of World War II only increased passenger traffic for the Kansas City Southern between New Orleans and Kansas City, which was partly helped by the fact that the railroad served a number of bases between the two cities. 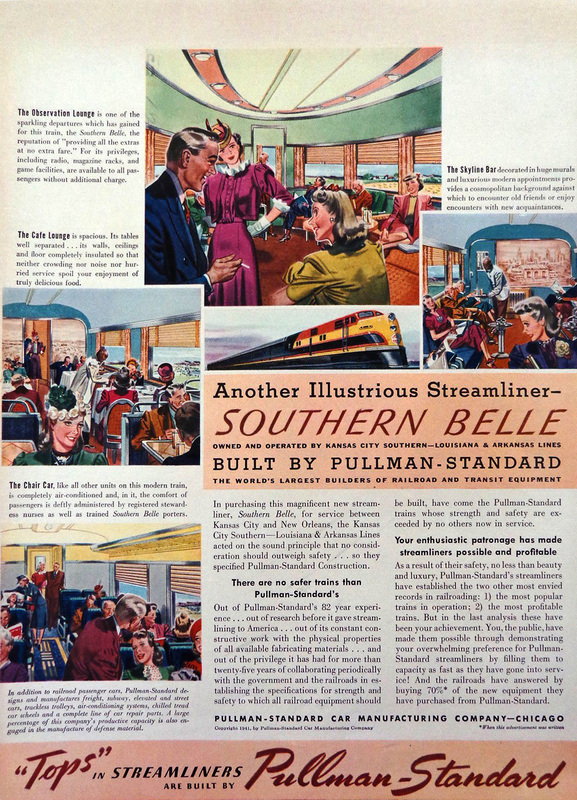 Interestingly enough, the region and Belle proved to be so lucrative for the KCS that the railroad continued to order new equipment from Pullman-Standard through 1966 (passenger traffic had actually jumped during the mid-1960s from its levels at the beginning of the decade), the last purchase of passenger equipment by a private railroad before the days of Amtrak, which began in the spring of 1971. 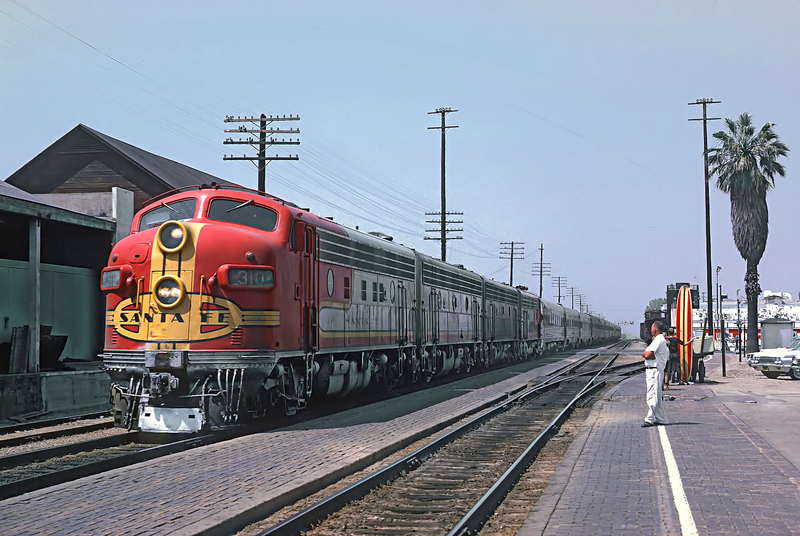 It would be the discontinuance of the US Postal Service’s mail contracts in 1967, along with a cutback in feeder trains to the main line services that ultimately did in not only the Belle but also nearly all passenger trains offered by Kansas City Southern. 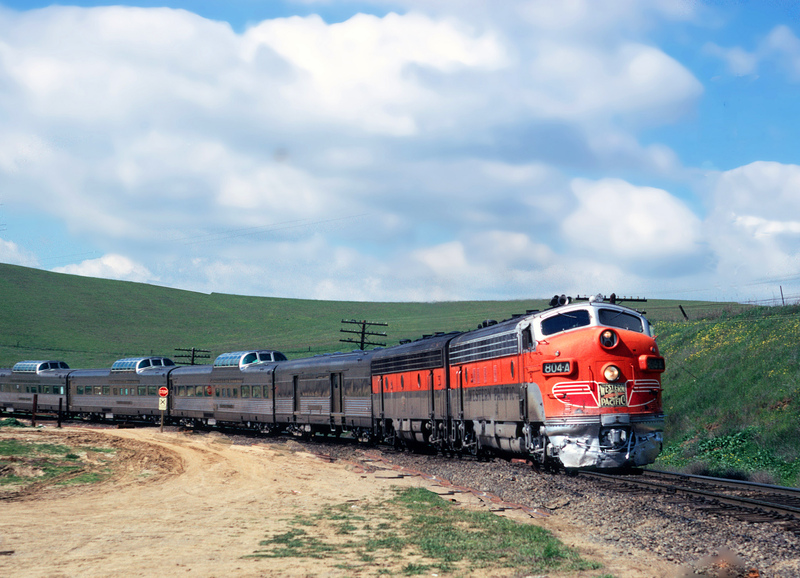 In just three years since the railroad had ordered new equipment from Pullman it discontinued the Bell on November 2, 1969. 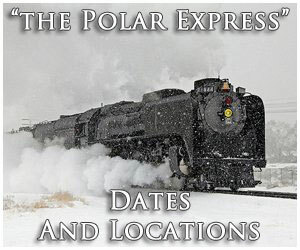 Today, however, you can still catch a version of the Southern Belle in the way of the railroad’s business train, which has brought back its old livery and pulls the train with a matching A-B-A set of FP9s (all units, of which, are ex-Canadian National).